Animal Wildlife | Ishikawa's Frog | Ishikawa's Frog is the most beautiful frog in Japan. 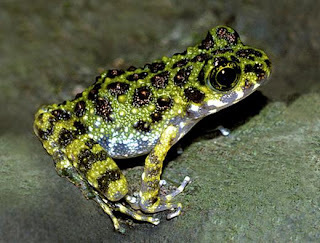 Forests are disappearing and rivers are becoming dirty.Ishikawa's frog is in danger.Amphibians have trouble changing when their environment changes.They have a purple and green pattern that looks like moss.It hides them from their enemies. The population of Okinawajima is designated as a natural monument by Okinawa and Kagoshima Prefectures, but there remains a need for improved protection of forest habitat on both Okinawajima and Amamioshima. Ishikawa's Frog only lives on Okinawa's main island, and is a very special frog. Some people believe they are Japan's most beautiful frog. Ishikawa's Frog needs small mountain streams in forests to live. However, forests are disappearing and rivers are becoming dirty. Ishikawa's Frog cannot live safely. Their numbers are becoming smaller, and we worry about their disappearance in the future. 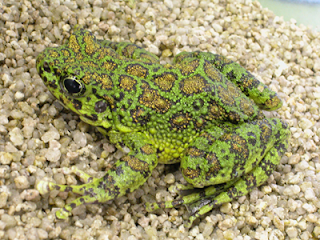 To stop the disappearance of Ishikawa's Frog, severe rules about catching and caring for them were made. But, that's not enough to save Ishikawa's Frog. Frogs are amphibians, and are very sensitive to changes in environment. 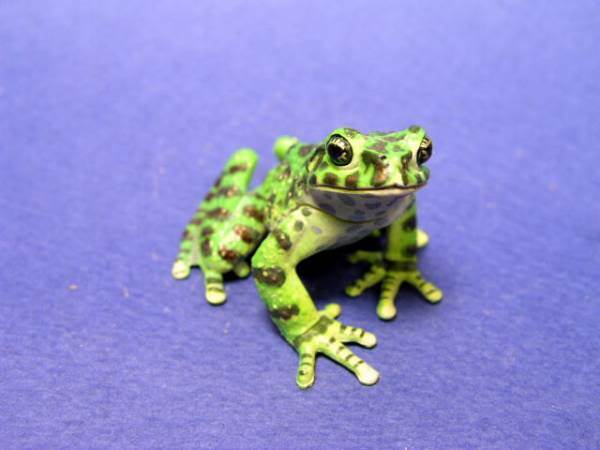 We must give back the rivers, forests, and the surrounding nature to Ishikawa's Frog. 0 Response to "Ishikawa's Frog"